CB Seven Productions Pty. Ltd. 1988. Producer: Errol Sullivan. LP (OP)	RCA. VRL1 0728. 1987. Album Produced by Ron Wills. With the exception of EMI tracks original re-mastering by William R. Moran curator of Stanford University Sound Archive, California, USA. First Australian transfers by Eric Clapham. Digital re-mastering by BMG/Arista/Ariola Australia. Assistance of the National Film and Sound Archive of Australia, Canberra is gratefully acknowledged. La Traviata. (4:05). (Verdi). (PD). With John Brownlee - piano accompaniment Harold Craxton. Romeo Et Juliette. (1:55). (Gounod). (PD). “Je Vieux Vivre” (Waltz Song). With Orchestra Conducted by Walter B. Rogers. La Boheme. (3:18). (Puccini). (PD). “O Soave Fanciulla”. Enrico Caruso (tenor). Le Nozze Di Figaro. (3:23). (Mozart). (PD). Orchestra Conducted by Walter B. Rogers. La Serenata. (3:03). (Tosti). (PD). Harp accompaniment - Ada Sassoli. Mattinata. (Dawn Song). (2:08). (Tosti). (PD). 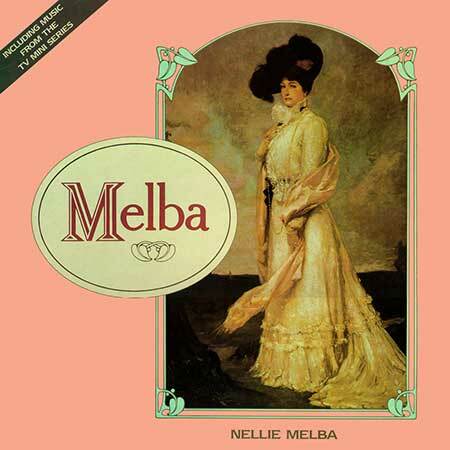 Piano accompaniment - Nellie Melba. (B) Pale Et Blonde, Dort Sous L’eau Profonde. La Boheme. (4:08). (Puccini). (PD). La Traviata. (4:45). (Verdi). (PD). Lucia Di Lammermoor. (4:50). (Donizetti). (PD). (tenor) and G. Marco Sammarco (bass). Ava Maria. (4:25). (Bach - Gounod). (PD). “Meditation On J. S. Bach’s Prelude No. 1”. With Jan Kubelik (violin), Gabriel Lapierre (piano). Comin’ Through The Rye. (1:46). Piano accompaniment - Gabriel Lapierre. La Boheme. (2:53). (Puccini). (PD). “Addio - Donde Lieta Usci Al Tuo Grido D’Amore”. With the Orchestra of the Royal Opera House, Convent Garden Conducted by Vincenzo Bellezza.